Investment manager. Philanthropist, Activist. 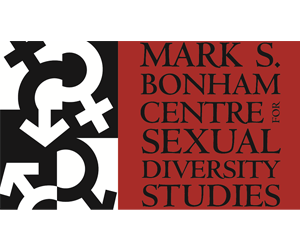 Patron and Member of Advisory Board, Mark S. Bonham Centre for Sexual Diversity Studies, University of Toronto. Founder and Chief Executive Officer, Strategic Value Corporation (Mutual funds, 1996-2002). Co-Founder and Chief Executive Officer, BPI Financial Corporation (mutual funds, 1985-1995). President, Stoney Ridge Estate Winery (2003-2008). Board Member, Toronto Botanical Gardens. Advisory Board Member, Toronto Inside Out LGBTQ Film Festival. Member, Casey House Hospice Capital Campaign. Co-Chair, Egale Centre Capital Campaign (LGBTQ homeless youth shelter). Patron, Bonham Centre for Finance, Rotman Business School, University of Toronto, and several Chairs in Finance and Bonham Scholarship. Inaugural recipient, Alumni of Influence Award, University of Toronto. Ontario Sports Award, Cycling, 2002 and 2003. Arbor Award for Outstanding Voluntary Service, University of Toronto. President, The Mark S. Bonham Charitable Foundation. Senior Fellow, Massey College, University of Toronto. Co-founder and Board Member, The Canadian Business History Association. Contributing Author (Financial Companies), Canadian Encyclopedia. Author of the books 'Champions: Biographies of Global LGBTQ Pioneers' (2014), 'Notables: 101 Global LGBTQ People Who Changed the World' (2015), and 'A Path to Diversity: LGBTQ Participation in the Working World' (2017). Named to the 2017 OUTstanding-Financial Times’ Leading LGBT Global Business Executives List. Recipient of the 2018 Outstanding Philanthropist of the Year award from the Association of Fundraising Professionals (AFP). This page was last modified on 16 October 2018, at 12:39. This page has been accessed 12,580 times.